Well...here's what is happening on May 2 - 4. Please mark your calendars. We are not sure if you are aware that the Nancy’s Notions warehouse sale in Beaver Dam, Wisconsin normally held the first weekend in May has been cancelled. This weekend event has been going on at the Beaver Dam location for many years and draws folks from all over who plan road trips, book buses, etc. 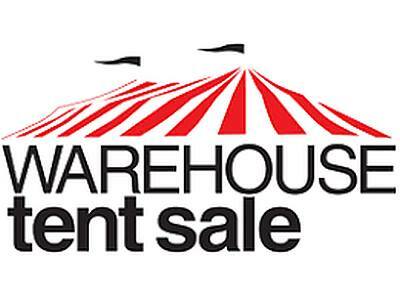 Because of this we are holding our FIRST ANNUAL WAREHOUSE AND TENT SALE during those same days, MAY 2 - 4. If you already have those days marked off, we are hoping that you will join us for this amazing event. 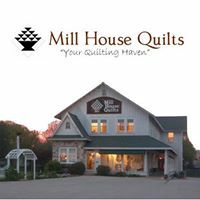 Brewer Quilting and Sewing, a major distributor of everything sewing and quilting and a sister company of Bernina will be supplying sewing and quilting supplies, closeouts, odds and ends, one of a kind, sewing machines and many other items at warehouse sale prices for this event. All name brands including embroidery items from OESD. Some items we plan to include but not limited to (a work in progress) are, • Precuts • Kits • Fabric • Sewing Machines • Panels • Books • Embroidery items • Embroidery blanks (towels, aprons) • Blades (individual and bulk) • Needles (individual and bulk) • Thread (individual and packs) • Scissors • Irons • Dritz • Rulers • Spray bottles • Cutterpillar • Pam D’Amour • Novelity items • Gifts • One-of-a-kind Items • And much more! If there is something you would like to see you can drop us a line as items won't be finalized until the first part of April. The Village of Waunakee will also be hosting "Main Street Days" on Saturday May 4 with a day full of fun activities. While this is still not finalized here are a list of planned activities, The Gather Guesthouse's parking lot will host Chocolate Shoppe Ice Cream, Hart Mercantile, ReKindled & Co., Grasshopper Goods, LAF Creations Boutique, Valley View Rustic Creations, Hygge Jewelry Lab, Copper Mule Designs and many other amazing vendors! Need a little break from the shopping? Have a seat and enjoy live Music by Mackenzie O'Brien from 11:30 am - 2:30 pm. This Nashville recording artist plays the guitar, banjo & ukulele... However, her voice is what has set her apart. You won't be able to walk by without stopping to enjoy her talent! When you've finished shopping at the Tent Sale stroll the downtown streets of Waunakee to find sidewalk sales, a climbing wall, bounce house and a petting zoo! Mark your calendars and stay tuned for more exciting details.